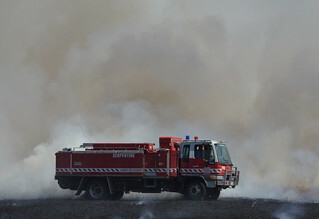 January 4th, 2013 - Grass & Scrub fire on the Dandenong Bypass. Very hot & dry day with some wind. I spent some of the day driving the forward command vehicle and the rest of the day manning a fill point, providing water to the trucks. 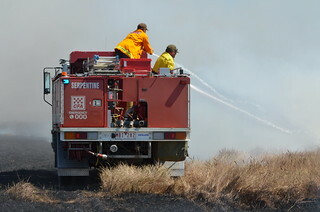 During a trip to Serpentine in country Victoria, a small grass fire broke out. I was involved with the innitial fire fight and worked to keep the flanks under control as best as possible while waiting for the CFA to arrive. Unfortunately, the fire fighting equipment on hand was lacking, consisting of a number of 9kg water extinguishers and some towels to use as beaters. 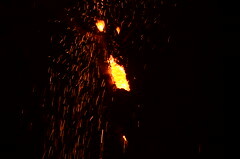 The CFA crew from Serpentine made short work of the fire. In the wake of Tropical Cyclone Yasi, huge amounts of water have been dumped on Victoria. These are some photos of the flooding at the Keysbough Fire Station. Within days of the flooding, the fire station was gutted and cleaned out. It only took a few weeks for new carpet and cabinets to be installed. The station is looking better now than it ever has before. 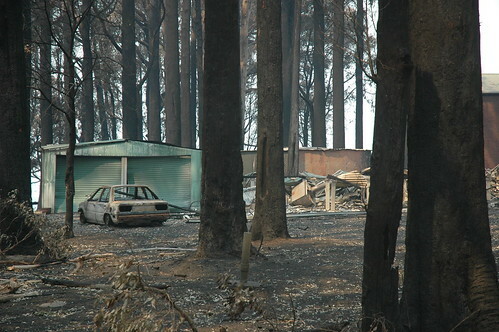 Saturday 7th Feb 2009 saw Australia's most devastating fires. Thousands of homes destroyed and hundreds of people lost their lives. 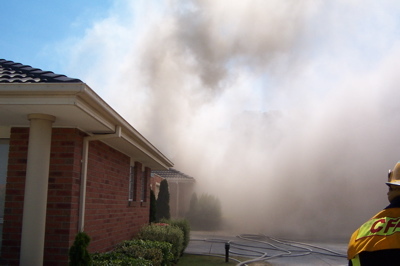 I was privileged enough to be able to enter the Kinglake complex in my role as a CFA volunteer. First on Monday 9th and again on Friday 13th. On the second trip to Kinglake, I took my camera in an attempt to capture some of what I saw while I was there. 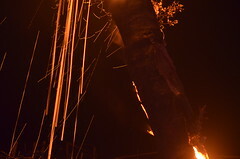 These are my photos. 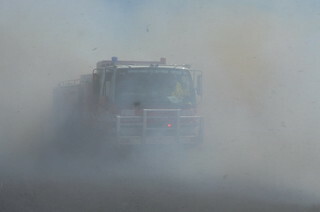 CFA Fire fighters from Region 8 joined the fire fight in Bullumwaal, North of Bairnsdale in Victoria's East. Strike team 0834 were tasked to support the DSE in back burning activities for two days. 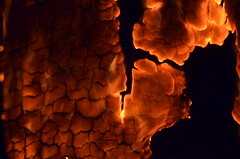 The temperature today in Melbourne pushed it's way past 43 Deg ( 109F ) and it was always going to be a bad day for fires - but this isn't quite what we were expecting.